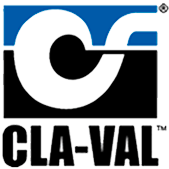 Tork represents Cla-Val’s marine valves for Northern California and the Pacific Rim. CLA-VAL marine products are designed to meet the exacting requirements of military and commercial shipboard applications. Their rugged construction and top quality materials help to ensure long life, minimal maintenance and precision service. All products for critical application on US Navy and Coast Guard vessels have undergone shock and vibration testing. CLA -VAL automatic control valves are utilized in nearly all of the US Navy’s shipboard magazine sprinkler and AFFF fire fighting systems. These valves have been relied on by the military for nearly 70 years to protect its personnel in the event of an on board disaster. Need a quote on just one line item? Fill out the inquiry below. (For two or more line items, use the "Add to Inquiry" button to the right). Tork Systems, Inc. is a U.S. owned and operated Small Business.